AMD recently disclosed a new project of theirs code named Yukon. It’s basically a chip similar to the Intel Atom processor that is being designed to power ultra portable laptop computers but not Netbooks. However, AMD is careful not to definitely say that the Yukon will be for Netbooks per se. Netbooks are low powered and slightly slower computers than full-sized laptops. So what exactly is the Yukon for? They say it’s built for MacBook Air-like devices, somewhere in the middle of the netbook and notebook. The ideal Yukon form factor is a MacBook-Air style design: very thin with a 13-inch screen, according to AMD spokesman John Taylor. Moreover, according to Taylor, the Yukon may be used for smaller more netbook-like devices but that is not their emphasis. The reason why they aren’t diving right into the Netbook market is because they want to deliver "a full PC experience." "It is not what you can say about some of the Netbook-type products on the market today," he said. 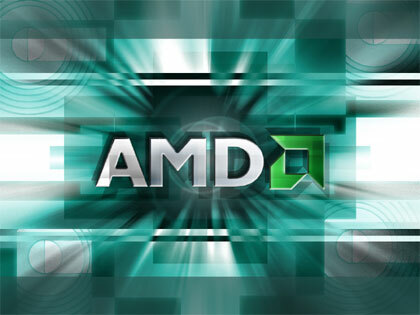 "AMD will do this by tapping into the graphics chip technology from its ATI unit," according to Taylor. So will AMD come out with a Netbook or a Notebook? Possibly both. The Yukon is still under development and probably will not see any action until late next year.